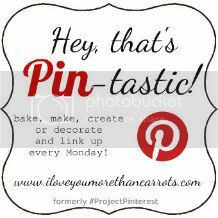 I Love You More Than Carrots: That Really Cute Christmas Photo Backdrop Pin :: Hey, That's Pin-tastic! 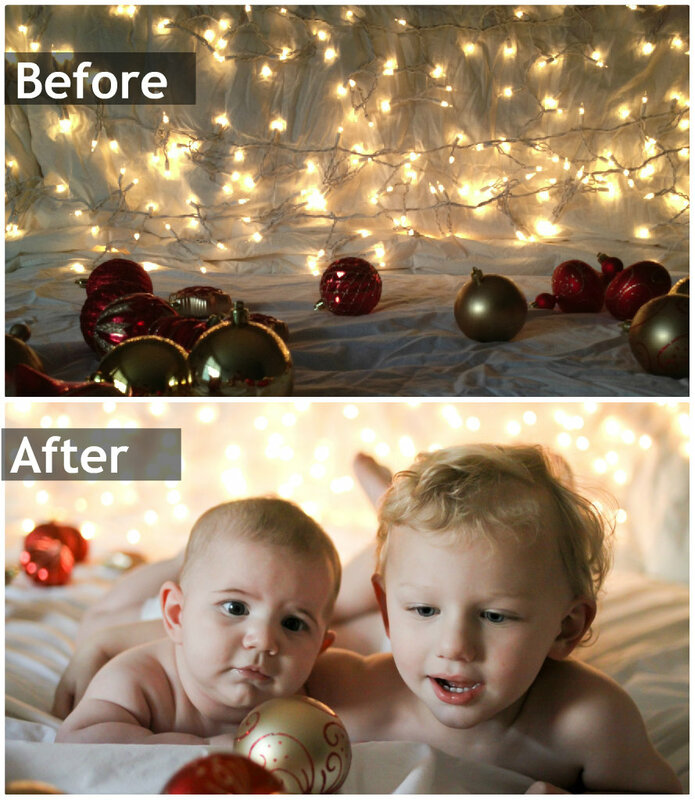 That Really Cute Christmas Photo Backdrop Pin :: Hey, That's Pin-tastic! My boys are 27 months and 4 months old. Trying to get them to sit still, let alone pose, for pictures is like trying to herd feral cats. Regardless of this little known fact, I still committed myself to attempting to achieve the Perfect Christmas Card Picture with the two of them in it. 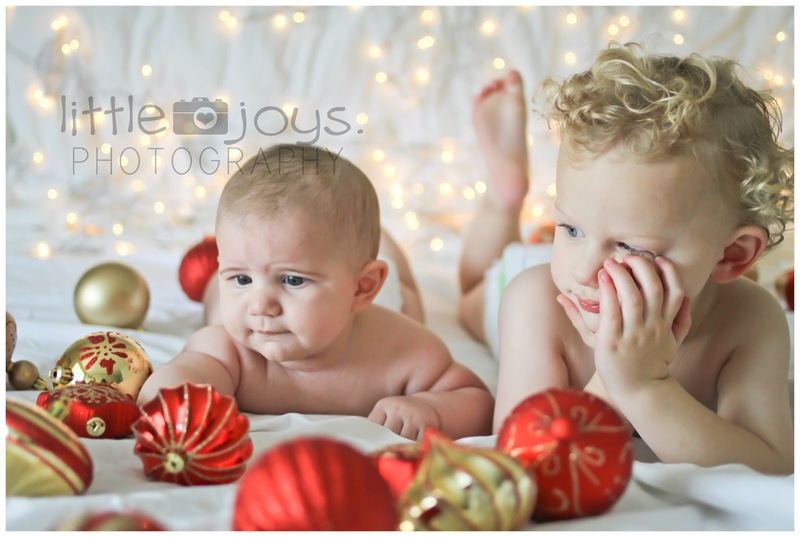 I will say, however, that I do tend to keep my expectations low, especially with my own children as opposed to those I photograph has part of my business. As long as both of my children are both looking in the same direction and have their eyes open? It's a veritable win in my book. I will say that this is not the final product of this week's Pin-tastic idea. As I was setting up the Pinterest-inspired backdrop for this photo, I ran short on natural light but was too excited to wait until the following morning to shoot. So? I went with it and my first attempt? Wasn't too shabby. This backdrop is incredibly easy to set up and I'll almost bet money that you have everything you need already in your house (or garage, as was my case). You'll want to start by setting up your backdrop in whatever room in your house lets in the best natural light. I could have taped the Christmas lights to the wall in our living room (beautiful natural light) but let's face it, that seemed a bit much. So? Instead I chose our guest bedroom and ended up utilizing the headboard which proved to be a great idea. 1. 2 white blankets. I used a white down comforter to drape over the headboard and "messily" placed a white flat sheet down on top of the bed. 3. Shatter-proof ornaments, preferably ones that aren't covered in glitter. Take it from me. Glitter ornaments result in Glitter baby. For days. 4. Light. I prefer to use natural light (streaming in from two large windows to the left of the bed) but you could also attempt with ambient lighting (strategically placed lamps). 5. Kidlets, preferably ones who follow directions. Now, I know what you're going to ask. What kind of camera did I use? I used my DSLR, a Canon 50D. I would recommend trying to achieve this shot with a DSLR as I have zero tips on how to do so with a point and shoot. I would also suggest using a portrait lens or 35mm lens. This provides the depth of field you'll need to achieve the blurry "bokeh" effect of the lights. I never shoot with my camera's built in flash so turn that off. When shooting Christmas lights, you most often want a low f stop. I set mine to 2.0 and my exposure to 1/250th of a second. My ISO was set at 1600. Start with these settings, take a few test shots before you throw your kidlets in there and tweak them as you go. I draped the down comforter over the headboard of our bed, tucking the ends between the headboard and the wall to secure it. I left the bottom rumpled and gathered at the base of the headboard and the mattress. Scatter your ornaments on the bed and remember, if you're shooting with a toddler kidlet, you can forget those ornaments staying where you first placed them. To set up the lights, I simply wrapped the lights back and forth across the headboard horizontally, sticking and draping the ends behind the corners of the headboard to secure them between the headboard and the wall. No tape used. The original pin suggested using a tripod but I find that when shooting a toddler, I need to be able to move about with the camera at any given moment and I'd rather just try and maintain a steady hand so for me? The tripod was a no-go. I attempted the session again the following morning with much more natural light available and needless to say the Toddler wasn't having it. Again, I will remind you that those beautiful images you see pinned to Pinterest with impeccably dressed kidlets who follow directions? I'm pretty sure they are drugged. Or duct taped in place. Here is the original pin that sparked the idea. Thanks to those of you who are linking up with me for Week 9 of "Hey, That's Pin-tastic!" As always, I just love going through everyone's posts and reading all about your Pin Wins and Pin Fails. Be sure to grab the "Hey, That's Pin-tastic" button and embed it in your post so that everyone reading can come back and check out the great posts that link up each week. Each post that links up and includes the button or a link back to ILYMTC will be pinned to the Hey, That's Pin-tastic pin board. Any questions about this post, my camera, settings, etc. feel free to email me at iloveyoumorethancarrots(at)gmail(dot)com. Have a great week and keep baking, making, creating and decorating! Don't forget to link up your posts below! The lighting on the final one is perfection. Delicious and bright and warm! perfect. the photo shoot turned out lovely! I remember this pin. I also remember thinking... hmmm, that seems easy, but it's prob not :) That's coming from a non-photographer! I need to save this for when I have kids!! Thanks for the break down of how to do it! and thanks for creating the link-up!! One of my favs!! A Herd of Feral Cats..... Hahahaha!!!! That's so funny! Your photo turned out gorgeous!!! I love this!!! Gorgeous photos! Thanks for the party! Your button is on my party page! Thanks for the tips! I'm not sure if my camera is going to be able to do it (Nikon d3000) since I don't have a lens that will I that low in aperture, but you better believe I'm going to try! You know how I told you on IG I bribe Connor with Popsicles? Well, I did it again on Saturday for the 2nd time and it worked again! Popsicles all year round at the Kegley household! Ha! The boys are precious and Carter's arm draped around Mac??? I die. I TOTALLY want to try this! Starring it in my google reader right now so I can refer back to your DSLR settings (I'm still a bit of a dummy when it comes to that stuff). Love how it turned out!! Even the disgruntled faces are adorbs. So, so, so, so cute! What a great job you did recreating this. You've made me believe this is replicable! Though I do need more tips for my camera settings. Thanks for supplying that info. absolutely adorable!! love love love this! That's a great idea! Oh, so cute!!!! I think I like the "not having it" picture the best! They came out great. I told my husband I wanted to do this with W and he was like--isn't Wyatt too old to just be in a diaper? I don't think so! I think both of the boys look adorable! A perfect shoot! I finally got to link up! 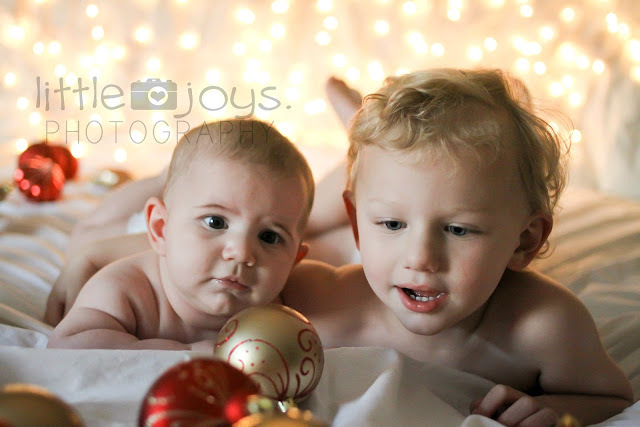 How do you get both kids in focus with that aperture? I find when I'm shooting my kids and using center focus I either get on or the other in focus. I'm no pro and therefore paid our favorite photographer to take Christmas pictures this weekend. But I would like 2 kids in focus on occasion. these are perfect!!! awesome job lady! Ohmygah, I HAVE to try this immediately. Except I have a feeling it will not go as well as your shoots. How the heck in God's name did you get them BOTH to stay still long enough to take a photo? Trying to take one picture with Benjamin currently requires two adults, and he's just one kid. Seriously - absolutely gorgeous photos. What do you use to edit your photos? I have PSE but never, ever, ever use it. I've heard Lightroom is way easier to use. so cute to see M the same age as crue is about to be! Lessons On Motherhood :: from "From Mrs. to Mama"
You Learned WHAT From Your Kids? I Love A Good Snack Keeper. "Is That Chocolate Or Poop?" Toddler Photo Session Photo Bomb. Meet Mandy And Win A $50 Amazon Giftcard!